Convenient set of 3 for studying radioactivity. The solid sources we supply are securely encapsulated in heat-resistant, waterproof plastic disks 25mm in diameter and 4-6mm thick. The sample is deposited in a well that is then filled with an epoxy material, safely sealing in the radioactivity. 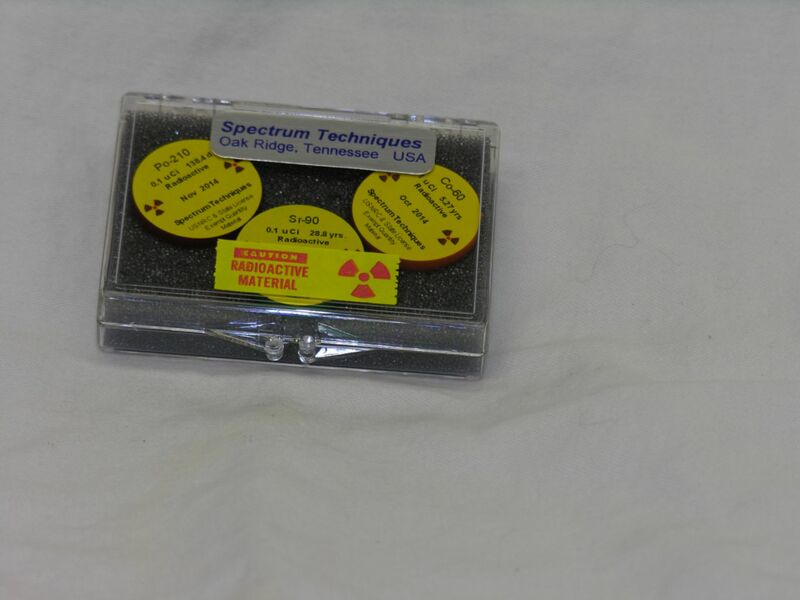 Set 470220-462 is the same except Cobalt-60 has an activity of only 0.5µCi.